Choose from Extra Sensitive, Normal and Intensive modes for your optimal performance in different facial areas. Pivoting shaving head perfectly adapts around facial contours for a more thorough and comfortable shave. Flexible cutting elements adapt to the skin's contours cutting short and long hairs with every stroke. 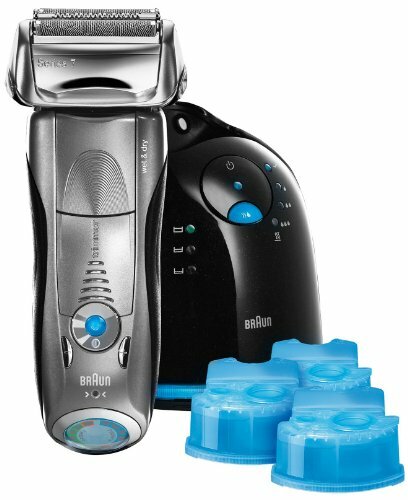 Clean & Charge Station - Full maintenance at the touch of a button for a shaver that's like new every day. If you have any questions about this product by Braun, contact us by completing and submitting the form below. If you are looking for a specif part number, please include it with your message.